Frenchy and the Punk return to Key City Steam Fest 2019! 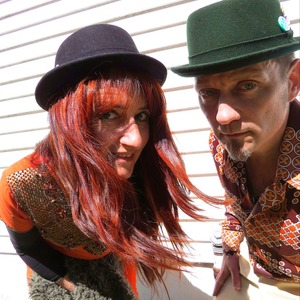 Multi-cultural Genre-bending NY Duo Frenchy and the Punk: Imagine Siouxsie Sioux and Dee Dee Ramone had a duo that was inspired by Django Reinhardt, Edith Piaf, Toulouse Lautrec and Deepak Chopra, this is what it might sound like. One part Dresden Dolls, Sonny and Cher and one part White Stripes. A spirited flexitarian band of tree hugging, gothic, folk punks by way of Paris and New York. Doused in red wine, kale and granola, raised on punk rock and ballet, eclectic and uplifting…fun with a capital F!